Regarded as the cultural, economic and political capital of Malaysia, Kuala Lumpur attracted 9.5 million visitors in 2013. 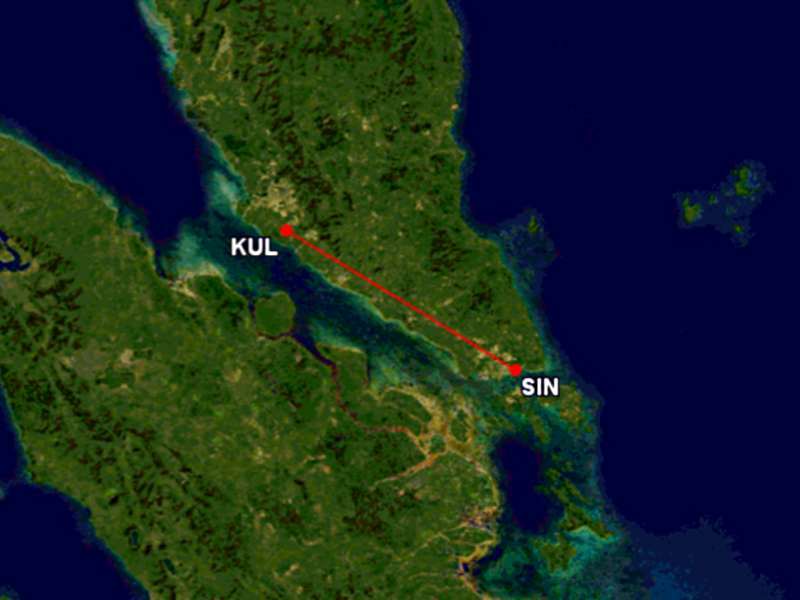 This sustained growth in arrivals can be attributed to the proliferation of low-cost carriers, spearheaded by local giant AirAsia. 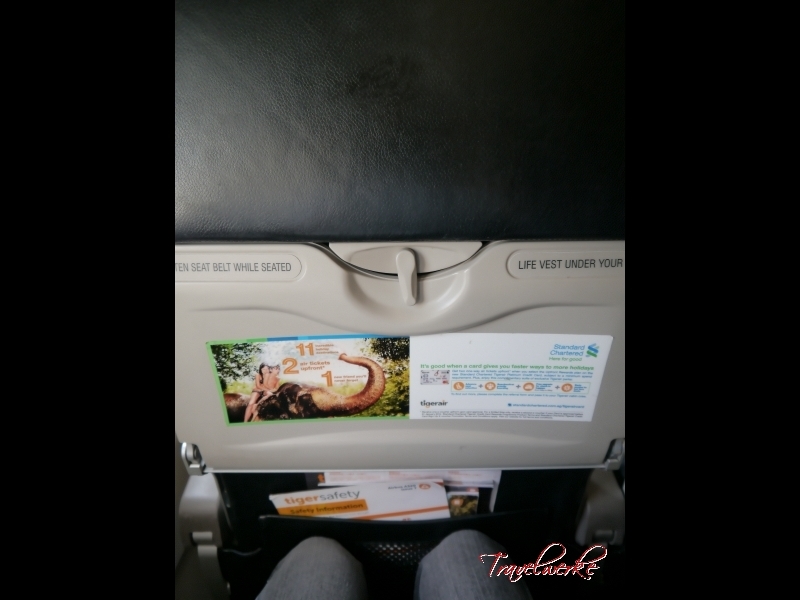 We headed up to Kuala Lumpur for a weekend recently, making the short hop on Tigerair Singapore. 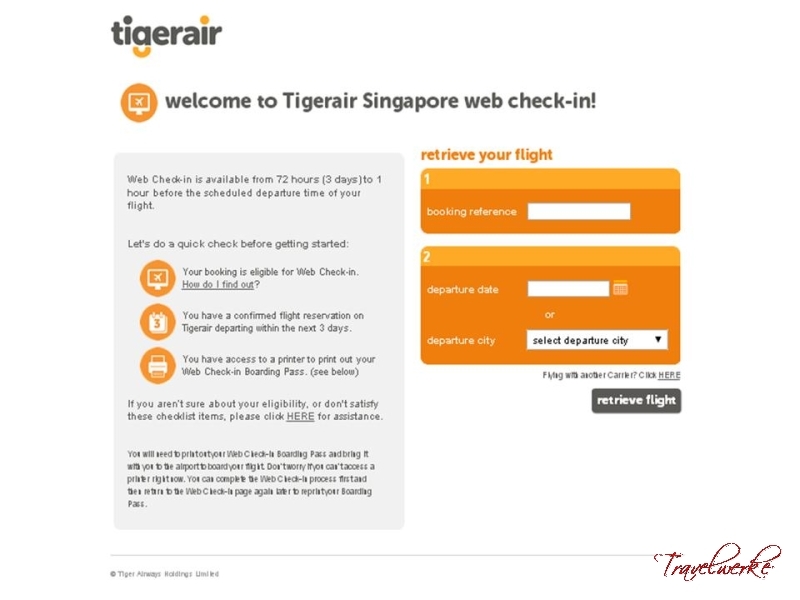 To expedite the process, we had completed a web check-in the day before on the airline’s website, which was fast and easy-to-navigate with the entire process taking under 2 minutes to complete. Entering our booking reference, the reservation was quickly retrieved and seats pre-assigned. Passengers may change their seats during this phase (available for an additional charge), purchase priority boarding or add-on hold luggage allowance. 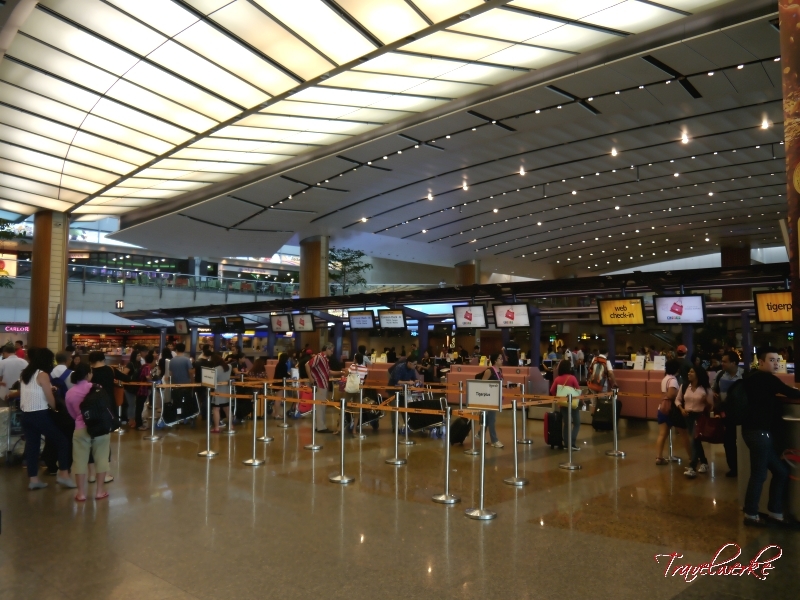 Flying on a Saturday afternoon, there were not many people at the Tigerair check-in desks at Changi International Airport Terminal 2. 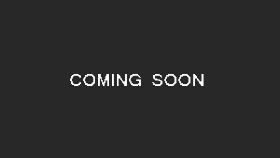 We were able to bypass the queues and head for the web check-in counter for document verification. While the agent was not overly friendly, she was professional and efficiently completing the process seamlessly. Boarding pass in-hand, we were soon airside and on the way to the gate. The flight was boarding from gate E27 at the far end of the pier, which made for a quick stroll after entering airside. Boarding by row numbers was in-place, although not strictly enforced as boarding passes were only checked at the aircraft door. The crew were around to greet and interact with passengers, but we noticed they were not proactive in assisting with luggage or locating seats. Today’s flight was operated by an older jet and this could be seen from the cabin that was beginning to look tired after nearly 4 years in service. While clean and tidy, the interior bore scuffs and scratches to cabin fittings. Clad in black leather, Tigerair’s Airbus A320s offer 180 seats in a standard 3-3 layout. We found the 30-inch seat pitch tight with our knees touching the row in front. While this was bearable for a short flight, we reckon it will be uncomfortable on longer sectors to China and India. 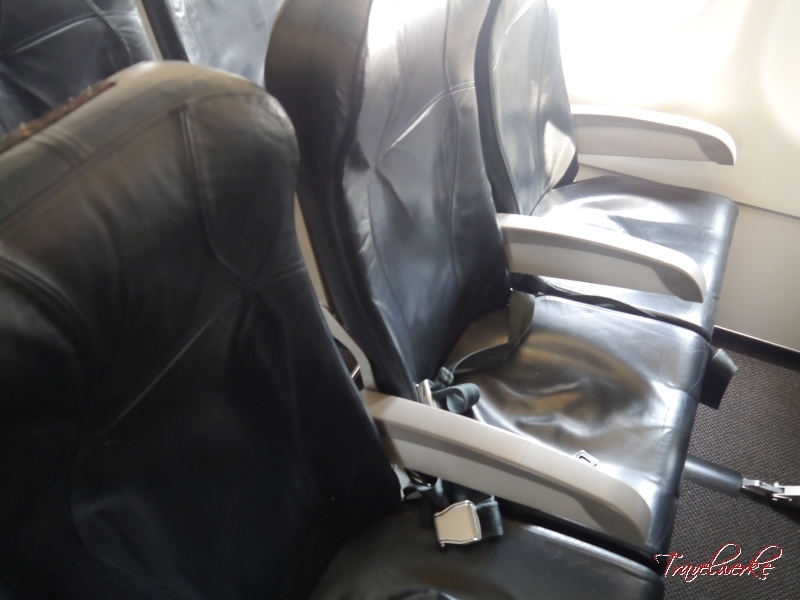 The seat is also thinner in padding compared to other low cost carriers, which in turn translates to any movements by the passenger behind being felt in the seatback. Our flight was operated by a crew of 4 in the cabin, all of whom were well-groomed, professional and generally jovial throughout the flight. Credit to the crew for completing a buy-on-board meal service and duty-free sales efficiently despite the short cruise phase. 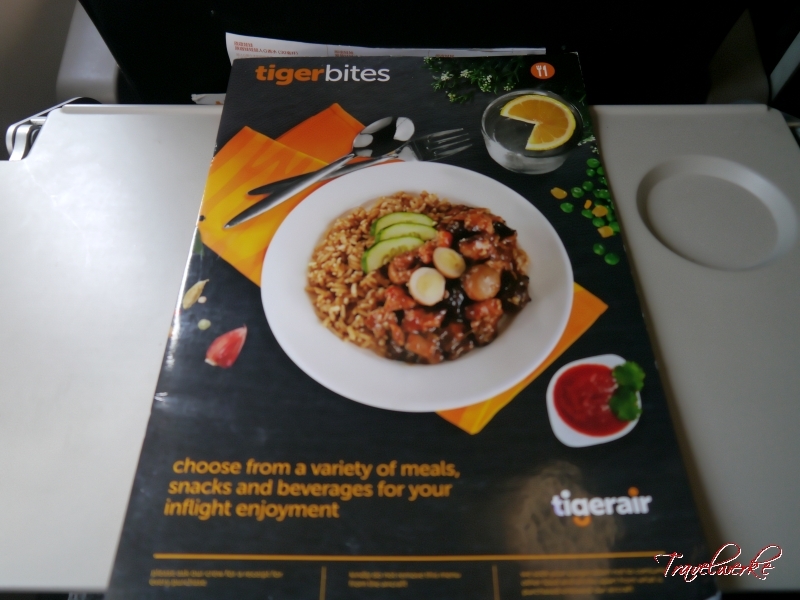 Like most low cost carriers, Tigerair operates on a meals-for-purchase system, with snacks, hot items and beverages available onboard, pre-ordered prior to departure or bundled as part of the ticket. As this was a short afternoon flight, most passengers (including us) opted not to purchase food onboard. 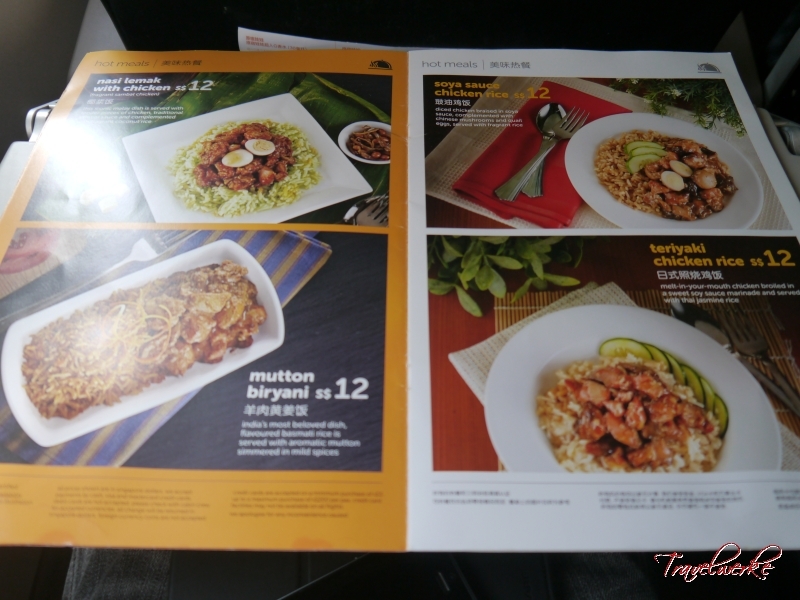 Operating largely in Asia, the menu comprised regional dishes that were competitively priced against other discount airlines and what one would expect to pay at the airport. 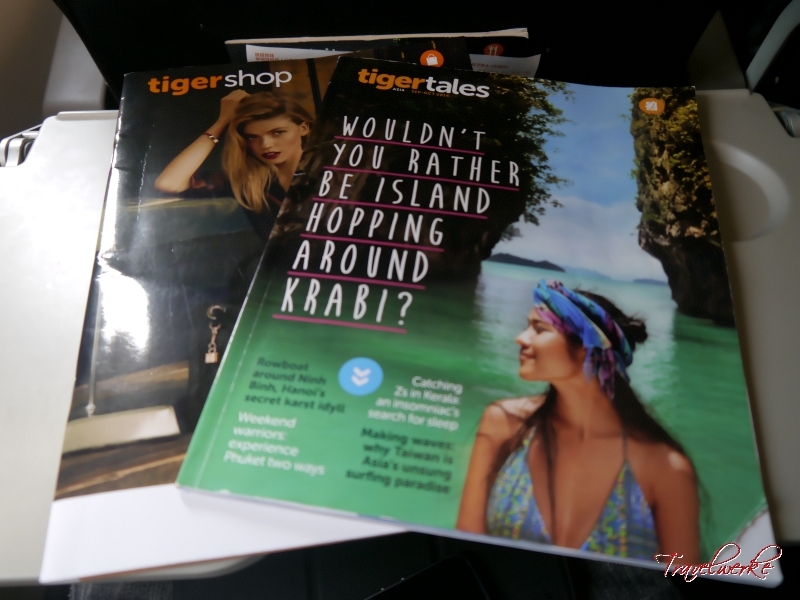 Inflight entertainment onboard Tigerair was limited to the “tigertales” magazine covering a range of topics and content brought by passengers. We found the magazine to be largely targeted at the leisure traveller with light and easy to read articles, but with too many advertisements for our liking given how advertising dollars are a key revenue source for a low cost carrier. Despite departing later than scheduled, we made up time enroute and landed at the new KLIA2 facility early. A quick taxi saw us dock at the gate which was a short walk to immigration clearance. 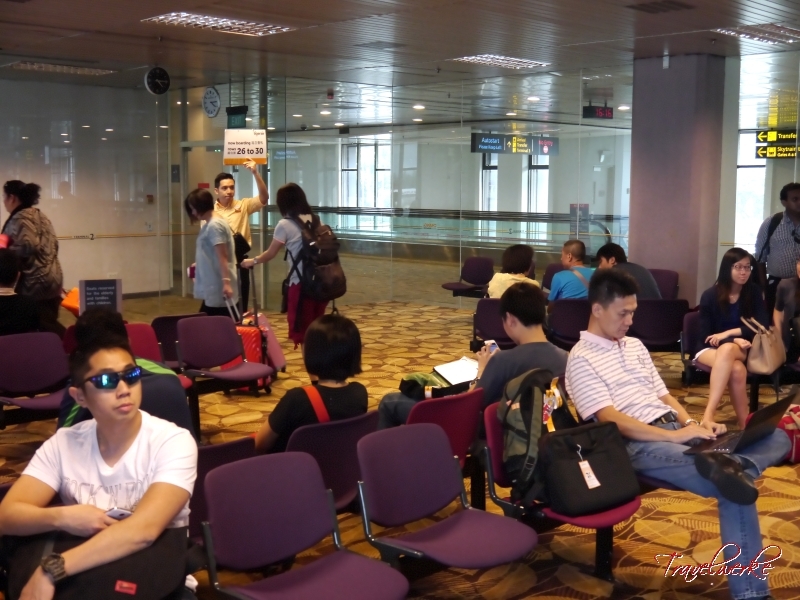 The wait for the aircraft door to be opened was significantly faster than our previous visit with the use of the jetbridge as opposed to stairs at the old LCCT. 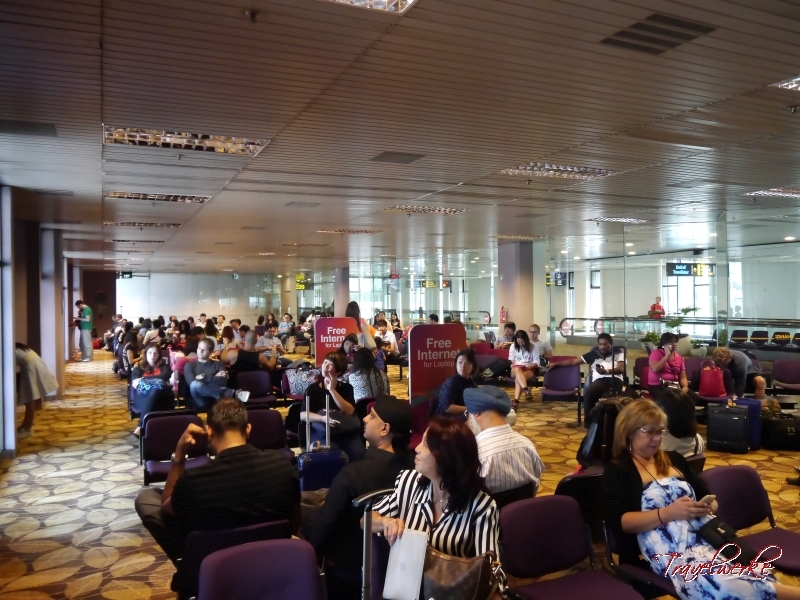 Within 30 minutes of leaving the aircraft, we were at the platform of the epress train to the city, having passed through immigration, baggage claim and customs smoothly in what must be our fastest arrival into Kuala Lumpur.